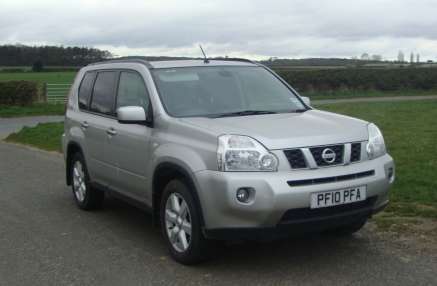 JUNE 2010 NISSAN X-TRAIL ACENTA 2.0 Dci 6 SPEED 5 DOOR, SILVER, 109, 150 Miles, Remote Central Locking, Radio/Cd, Sunroof, E/w, E/m, Steering Wheel Controls, Front Fogs, Alloys with 215/60R16 Continental Tyres, Roof Rails, Load Liner, Towbar. Good Service History. Please note this vehicle has a scuff and a dent the the front and rear bumpers and rear wheel arch.